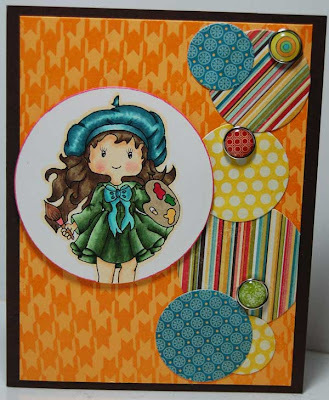 Today is my turn to show a card for the recycle and texture challenge over here House of Gilli. I’m so excited coz this is my first time using Parisian Gilli and I absolutely love this girl. She is from the new collection called Summer’11. I colored my Parisian Gilli with copic markers E47, E33, E32, B02, B00, C9, C7, C3, E11, E00 &R20. For the texture I used a bit of glossy on her shoes, but unfortuntately, we cant see on the pic. For the recycle I got the ribbon that I received in a gift pack.. The gorgeous background papers are from Authentique, I even used a piece of left over. 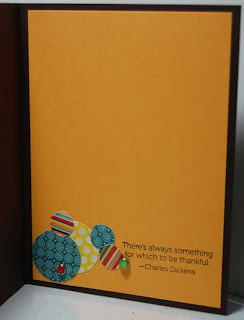 Sentiment is my fave one, it is from Stamping Scrapping Designs and is frou frou tag set and placed the sentiment on the Stamping Scrapping Dies – frou frou tag nesties. I cut it using my Grand Calibur. Flower and Rhinetones are from my stash. I hope you liked my card and come on over to play with us. You dont have to have a Gilli Stamp to participate in our challenge. Happy Thursday! This was a very fun challenge for me ~ thank you Wini! I thought of this wooden box when thinking about recycling. It was pushed way back on a shelf and was covered in dust. The base was painted a colonial blue and the lid stenciled, made during my country-style crafting phase. This card believe it or not was pieced with a lot of my left overs lol. Gilli Lollipop was colored with copic markers and her lollipop was made with some twine. I wanted to give the lollipop a candy texture so I added glossy accents on the top of it. The picture cannot show that much but in person is nice and shiny and hard like a true candy! The little lace border was made using Ek punch. For the circles I used a fiskars punch…I actually like this punch…it looks like of of those exercises things LOL. The cutsey paper is from Echo Park. The polka dot one I created just by using a white marker : ). So how about you put all those little left overs to work? It could earn you a cool gift from us…wouldn’t that be nice? You will be able to say…”It pays off to save the tiny things!” lol. Hi Everyone! 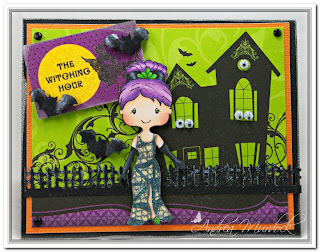 It’s Wini from LooneyBugDesigns and I am so excited to bring you a new challenge today! I have been so excited about this challenge. I love to repurpose stuff and so this is is the perfect challenge for me. We want you to use something Recycled on your project and incorporate lots of Texture too! Make sure to link your project in the inlinkz below for your chance to win a GREAT GILLI GOODIE!! As always you do not have to use a Gilli on your project but if you do you will get 2 entries into the challenge!! How fun!! I hope you are inspired to try your had at a project using something recycled and some texture too. Enjoy and don’t forget to enter your project in the Inlinkz below for your chance to win! from the new Summer '11 collection ! This card is for the Challenge hosted by Wini ! Purple, Orange, Green, Black & White ! Hope you participate on this challenge ! 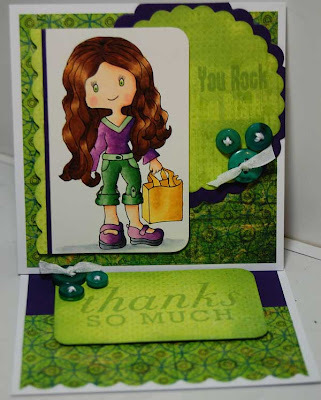 materials used on this card at my BLOG ! Happy Thursday everyone. Loving all the wonderful entries we have so far, there is still time to join in on the color challenge: Purple, Orange, Green, Black and White (choose 3). I used Romantic Gilli, colored with Copics and the new Spellbinders Ironworks Motifs, these are so beautiful. Hope to see you join in on the challenge and please check out the DT's beautiful inspirations in the previous posts. Hi Everyone! 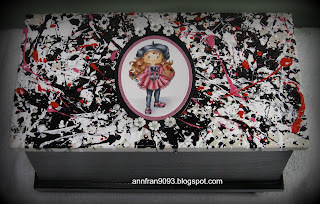 It’s Wini from Looney Bug Designs with your inspirational project today. Our Current challenge is to use at least 3 of the following colors: Purple, Orange, Green, Black and White challenge. Don’t forget to enter your project in our Inlinkz below!! For my project, Stroll Gilli is all dressed up as a Ghost for Halloween. I had so much fun coming up with this fun design. I love it when I can incorporate multiple textures into my projects. I love the glittered pumpkins along with the canvas of Gilli’s ghost costume. She even put some great green streaks in her hair!! 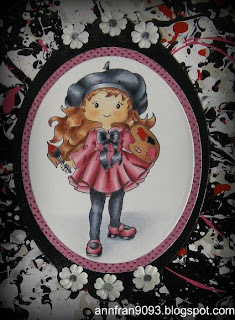 Visit my Blog for the list of supplies I used. Thank you for looking and don’t forget to hop on over to enter your own project for a chance to win a Great Gilli Goodie!! Check out this cute Gilli Shopper stamp and come play with us on this Challenge. I loved trying these colors. I went with purple,green and white. I also made her an easel card. I had soooo much fun getting Lady Gilli ready for Halloween and our current challenge of choosing any 3 of the colours purple, orange, green, black and white. Or if you are like me- all of them hee hee. First thing we did is colour her hair a fun shade of purple. Who wouldn't like to try purple hair- even for just one day. Fun! I then paper pieced her dress from some Authentique Halloween paper then covered the dress in glitter to give the web look some sparkle. My background paper is from a DCWV pack I grabbed a few year's back and keep using over and over again. 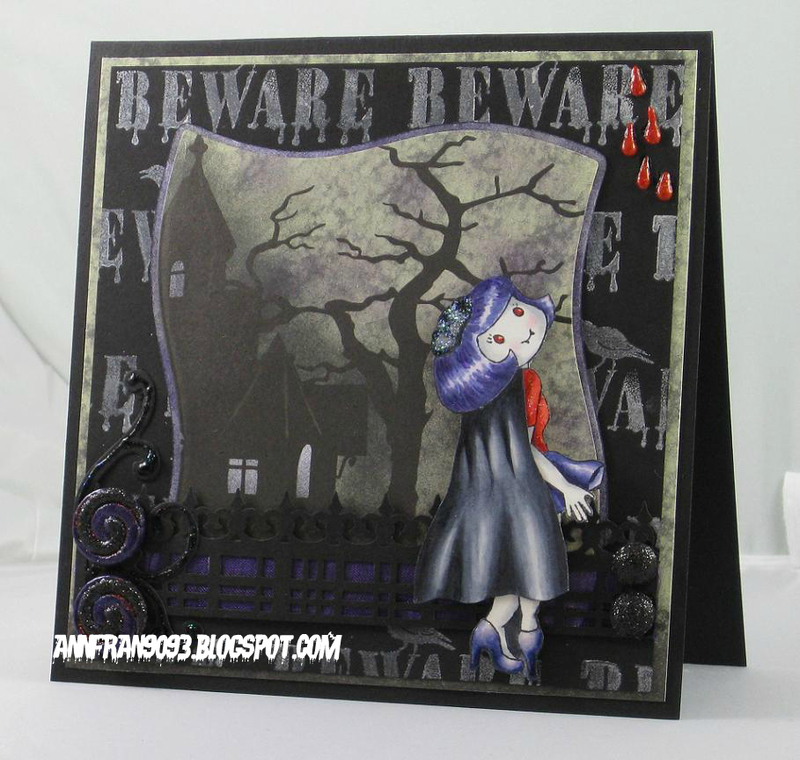 I added a punched fence and some spooky bats to complete the card. Sooo...have you felt someone staring at you while you read this post? Me too...I think I see some strange eyes coming from the house on my card...weird ;). Here's Parisian Gilli all decked out for some Halloween fun! I colored her with Copics and added a little cape I made for her costume. Boo! Yeah here I come with a new challenge for you all! Pick 3 colors! You choice of Black, White, Green and orange! Just add 3 of these colors and bam! Link you lovely project down to our Inlinkz! 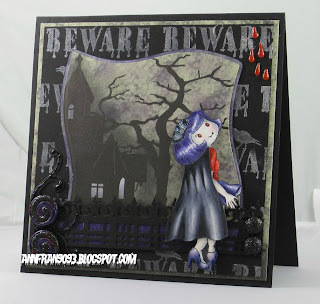 my new card for the House of GILLI Fall Theme Challenge ! and added some E-Z Rub-On Fall Acorns Transfers to the card. Hope you like and participate on this challenge ! I also invite you for the OWH card drive at the House of GILLI ! and 03 Penny Black Valentine Stamps from Oozak ! Happy Thursday, hope you are enjoying the Fall Theme challenge. Today for my card, I used Trench Coat Gilli, isn't she a cutie. 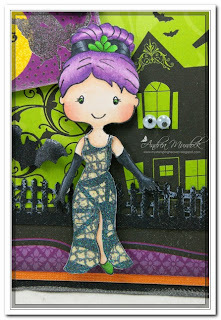 I colored her with Copic Markers, used Sizzix dies for the leaves and Spellbinders Lacey Ovals. Gilli is having a OWH card drive, you can find all the details here. Hope you will join in, you have a chance to win a Gilli Gift Basket and 3 Penny Black Valentine Stamps from Oozak. it is my turn to show you a card for the fall challenge. I decided to color her dress with orange color as this is one of the colors that represents fall. 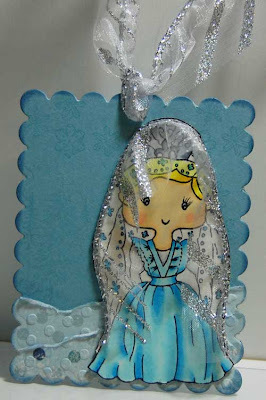 I picked Girly 2 Gilli from Gilli Stamps. I colored my girl using copic markers YR07, YR04, YR02, YR00, C9, C7, C5, C3, E35, E33, E31, E11, E00, R20. Background paper is from DCWV, half adhesive pearls are from KC all the other embellies are from my stash. I hope you like my card and come on over to play with us. I really had a lot of fun with this card. 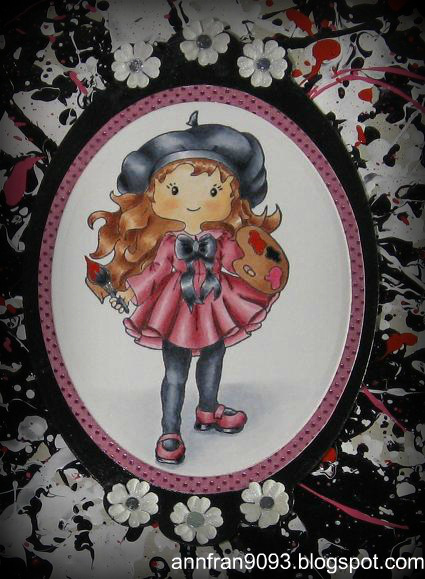 I was inspired by a card done by Amy R for a current card series she is doing. I went with this awesome pattern paper from My Minds Eye Stella Rose collection. (love this stuff), that reminder me of fall with a little kick to it. I used the Summer 2011 release stamp Painter Gilli. Enjoy and come join the fun.